Location: Navès, in the Tarn departement of France (Midi-Pyrenees Region). Notes: Château de Montespieu is a neo-medieval fortress located in the Tarn Navès. Built on foundations dating back to the twelfth century, it was completely rebuilt in the sixteenth century, rebuilt in the seventeenth and restored in 1900. 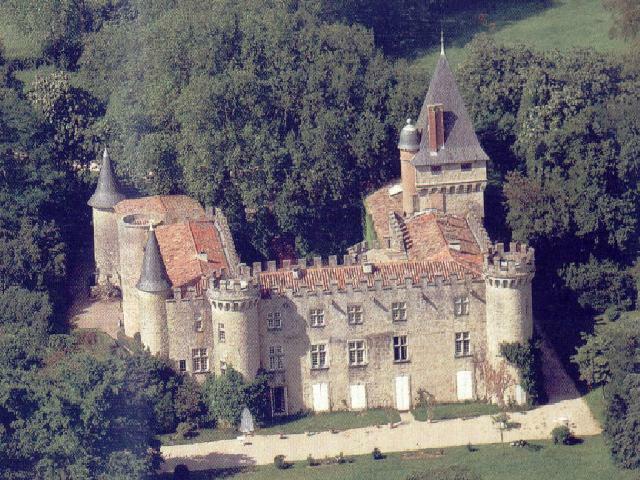 The castle Montespieu is a vast rectangle which has the features of a neo-medieval fortress. It is flanked by seven towers, three in the main body and four pavilions constructed of square.